Travel to Kenya and volunteer as a sports coach. You’ll help disadvantaged children to develop their fitness and confidence levels during Physical Education lessons. You’ll do this by working with local coaches in public primary schools and drop-in care centres. This is a great way to give back and add coaching experience to your CV at the same time. During sports classes, you’ll encourage children to lead healthy lives by prioritizing exercise, and share your love of sports with them. It’s a great opportunity for you to talk to the students, and learn about their lives, and what their aspirations are. Who knows? You might work with the next rising Kenyan or global sports star! 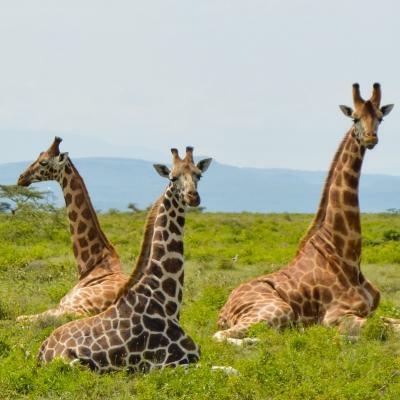 You’ll be based in the town of Nanyuki in central Kenya and live with a local host family. 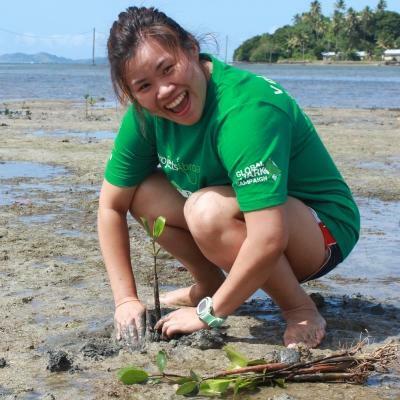 In your free time, we encourage you to to explore the country, eat local food, and and learn about the traditions. Is volunteering as a sports coach in Kenya right for me? 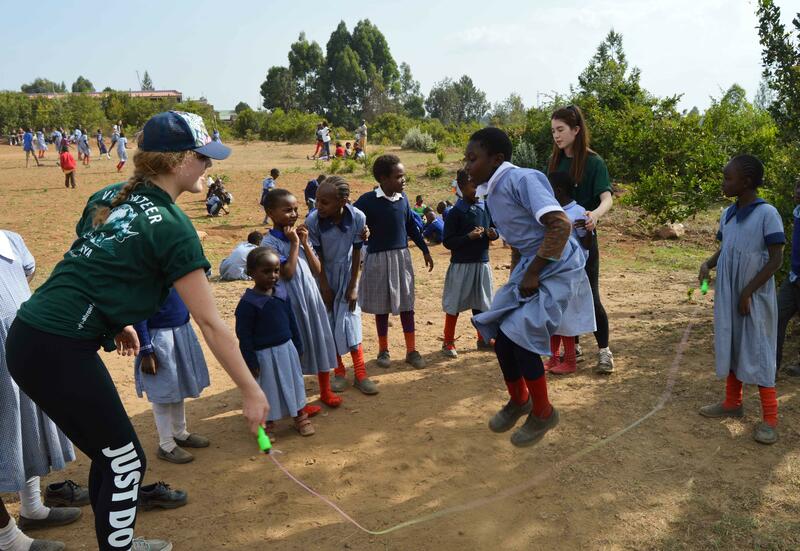 Volunteering as a sports coach in Kenya is perfect for anyone who loves sport, working with children and teenagers, and enjoys a creative challenge. You will have to think out of the box, especially when resources are limited. Getting hands-on sports coaching experience in Kenya will boost your CV. You’ll also learn skills like leadership and planning, which help you stand out in applications and interviews. 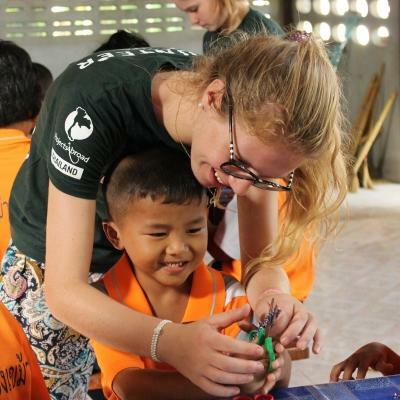 Your time abroad will also demonstrate your commitment to helping those in need. You don’t need any experience to join us in Kenya. All you need is a passion for sports and fitness, and a willingness to work hard! You will have support from the Projects Abroad Sports Coordinator, as well as the coach you work with. Use this time to learn new techniques, or share ideas from your home country. The project runs throughout the year, and you can join at any time from a minimum of one week. We encourage you to stay longer in Kenya, so you can have a bigger impact at your school. You will quickly gain hands-on sports coaching experience in Kenya by working with students of different ages and abilities. Encourage slower runners and give quicker students more challenging tasks You can also create games that develop teamwork, boost fitness, and are fun for the children. 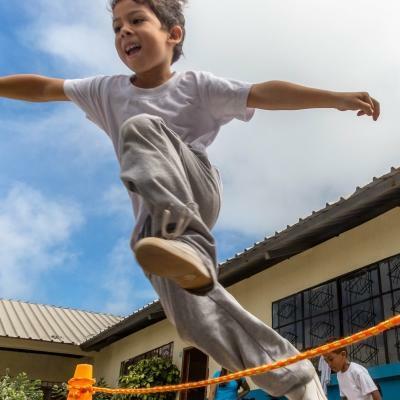 For young kids, you can focus on simple yet effective activities like ball skills using an obstacle course. With an older soccer team, you can focus on their team tactics, ball control, and accurate passing skills on the pitch. You will follow a busy schedule, created by the Projects Abroad Sports Coordinator. Use each lesson to work on the fitness and confidence levels of your students, depending on their age and abilities. Through games, drills, or stretching sessions, you can give your students pep talks, encouraging them and building their self-confidence. As a volunteer teaching sports in Kenya, you will work alongside local coaches and with our Sports Coordinator. During Physical Education lessons at your placement, learn as much as you can! You can ask the staff questions, make suggestions, and share your knowledge and experiences of sports back in your home country. You should be mindful that at some placements, resources may be limited or not available. You can work with the Kenyan coaches to think of creative, and fun activities for your students that don’t require equipment. Where will I work in Kenya? 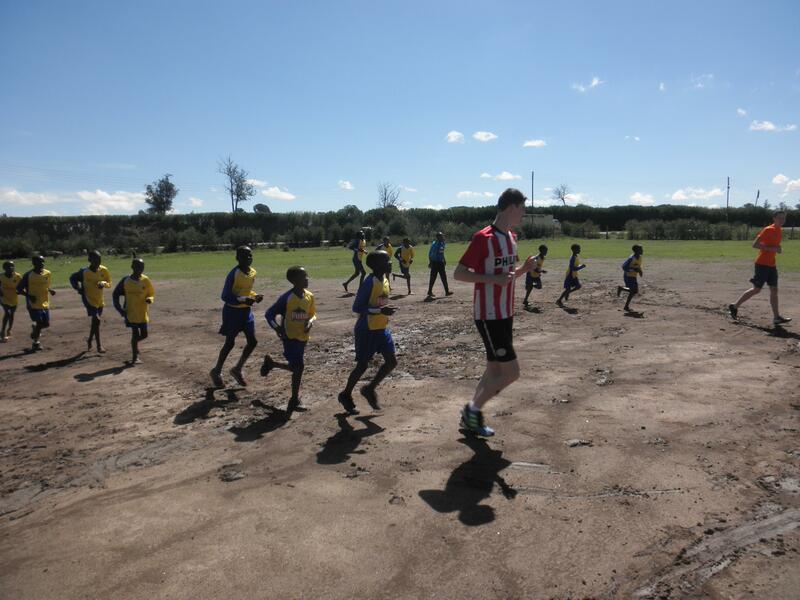 Your hands-on sports coaching experience in Kenya will take place in the small town of Nanyuki. The town is around a 3.5 hour drive away from Nairobi, Kenya’s capital. You can see the country’s highest mountain, Mount Kenya, easily from Nanyuki. You’ll work at public primary schools and drop-in centres in and around Nanyuki. You will work with the coach of the school or centre, and you’ll have guidance from the Projects Abroad Sports Coordinator. Be prepared to lead sessions on soccer fields that may have bare ground without much grass. However, fun and engaging activities can be done using any open space. We encourage you to get creative with the resources you have. You can use your free time and weekends in Kenya to explore! 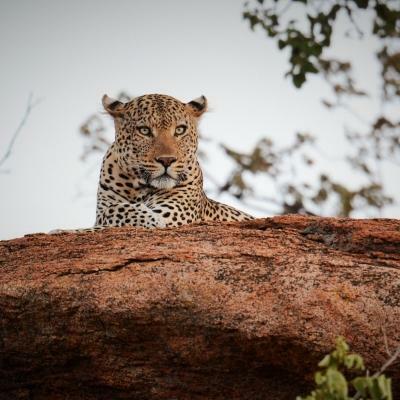 Plan a trip with fellow volunteers to Ol Pajeta Conservancy and see if you can spot the Big Five (lion, elephant, buffalo, leopard, and rhinoceros). Or, relax at your host family home, or at a stunning beach on the coast of Mombasa. You’ll have breakfast in your host family home, then head out to your placement. Transport will be organised by Projects Abroad for you to get from your host family to the placement. A typical day will run Monday to Friday, 9am to 4pm. Your exact hours will vary depending on your schedule for the day, and placement requirements. At your placement, you’ll follow a sports schedule set by the Projects Abroad Sports Coordinator. This could see you working at one school, or more than one school in a day. You’ll teach during Physical Education classes. You can create simple, yet effective ball skills games for younger students. Or, you can organise a soccer training session to focus on ball control, and game tactics. If possible, you can also coach a fun game over the weekend with children who are interested. You can speak to the Sports Coordinator about this. During lunch, you’ll eat a packed lunch from your host family. Use this time to play with your students, or sit with teachers or the coach, getting to know them. Weekends and free time are yours to explore! Living in Nanyuki places you in close proximity to the majestic Mount Kenya. Organise a hiking trip with other volunteers. Or wander the busy Nanyuki streets, eating your way through favourites like Ugali, a dish made with maize flour, or enjoy some grilled meat known as Nyama Choma. The aim of this project is to give disadvantaged children and teenagers a chance to develop their skills in various sports. You’ll also focus on raising their confidence, and empowering them. You’ll be directly involved with helping children train, and developing their coordination and teamwork skills. This will help give them skills they can use in life, and not just on the pitch or court. You’ll work with local coaches, learning from them while sharing your love of sports and your insight. Our Sports Project is quite busy and schedules are issued weekly through the Projects Abroad Sports Coordinator. 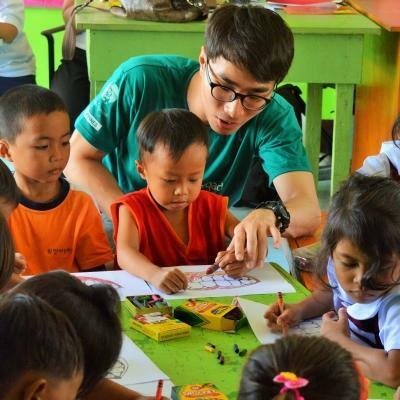 You may find yourself coaching children in different care centres, sports teams, or centres for street children depending on the time of year. Coach sports in Kenya and work towards building the skills and confidence of disadvantaged youth.